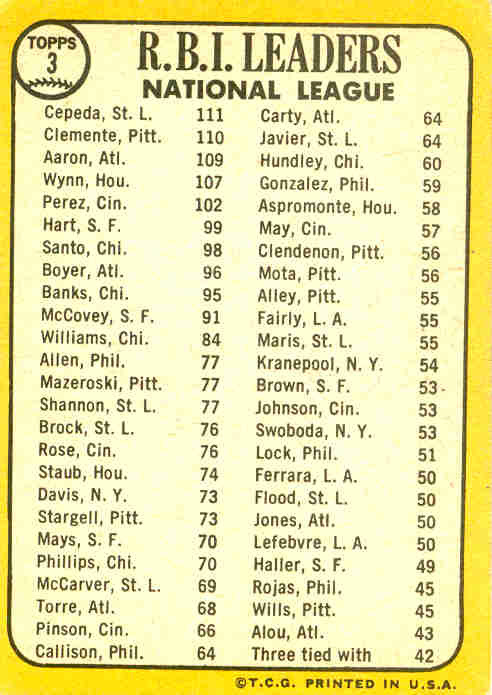 A (long) while back, I posted the NL Pitching Leaders cards. 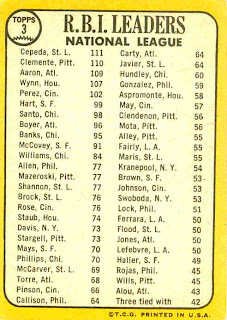 Today we have the NL Batting Leaders. 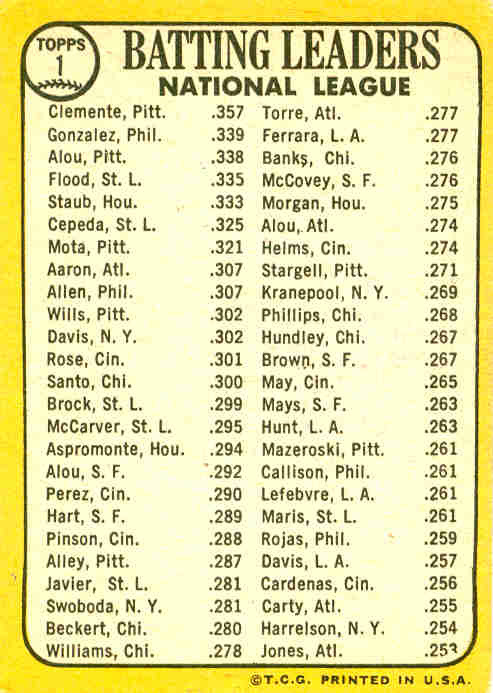 Roberto Clemente and Hank Aaron each appear twice among these cards (backing up the voters' choices in a recent poll). 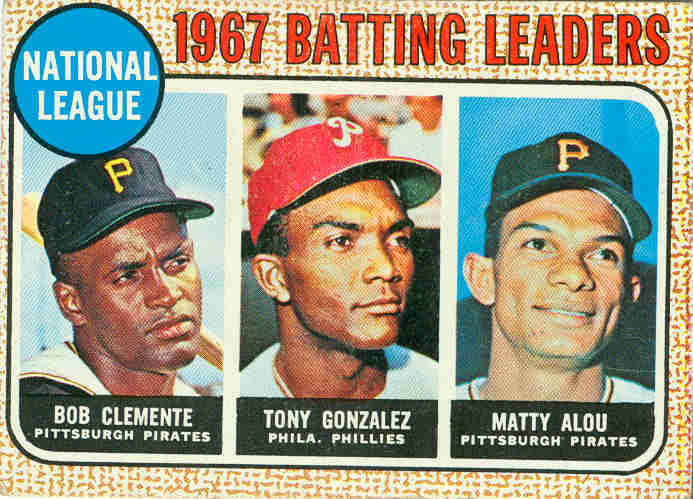 Roberto Clemente led the NL in batting for the 4th and final time (also in '61, '64, and '65). 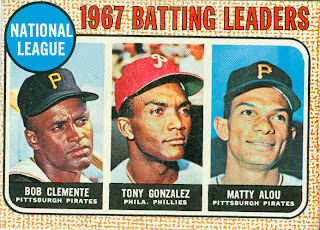 Tony Gonzalez began the 1967 season as a platoon player, but stepped up midway through, and batted .339 overall. 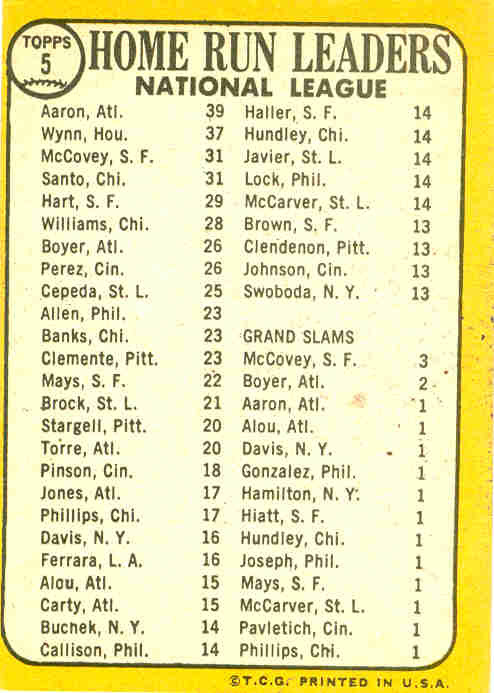 Matty Alou picked up where he left off the previous season. 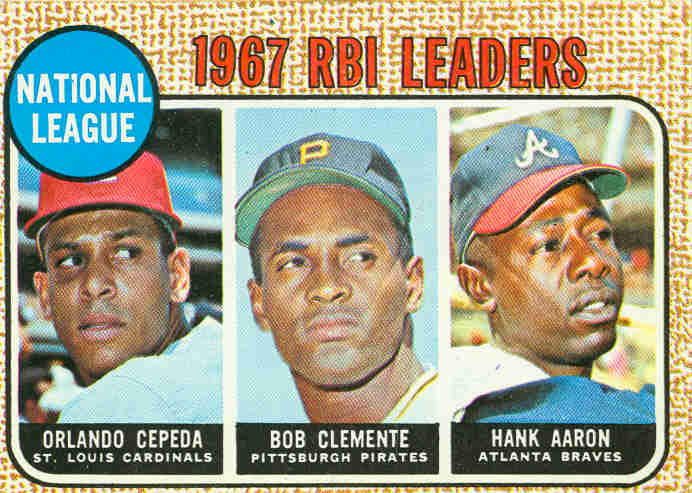 Orlando Cepeda powered the Cardinals to the 1967 World Series. 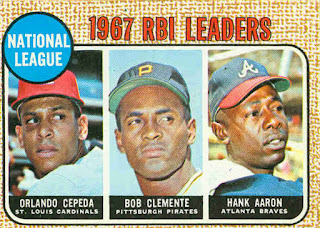 "Bob" Clemente makes his 2nd appearance here, along with Hammerin' Hank. 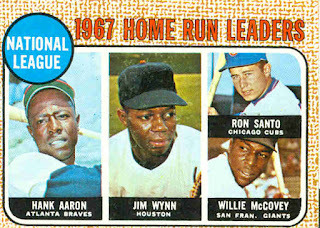 Hank Aaron continued his assault on Babe Ruth's record, winning his 4th and final NL home run crown with 39 homers. 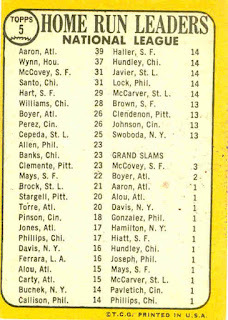 (His other three titles were all won with 44 home runs.) 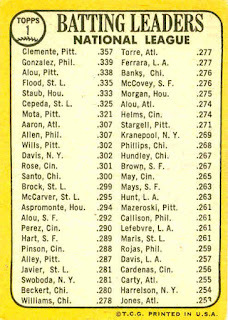 Only Harmon Killebrew hit more home runs in the 1960s. 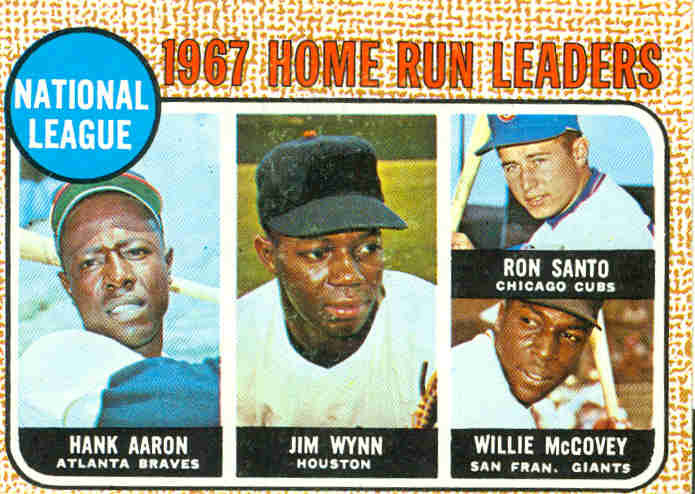 Next we have Jim Wynn (now playing for "Houston"), followed by Ron Santo and Willie McCovey tied for 3rd place.